Founded in 1998, SEE Eyewear is a forward-thinking company that brings stylish eyewear to consumers at affordable prices. This unique brand draws inspiration from the idea that people can create a wardrobe of glasses. Each style is custom designed and created with frames produced in limited quantities. SEE’s philosophy promotes eyewear as a personal statement, unique to the wearer and changeable by day. 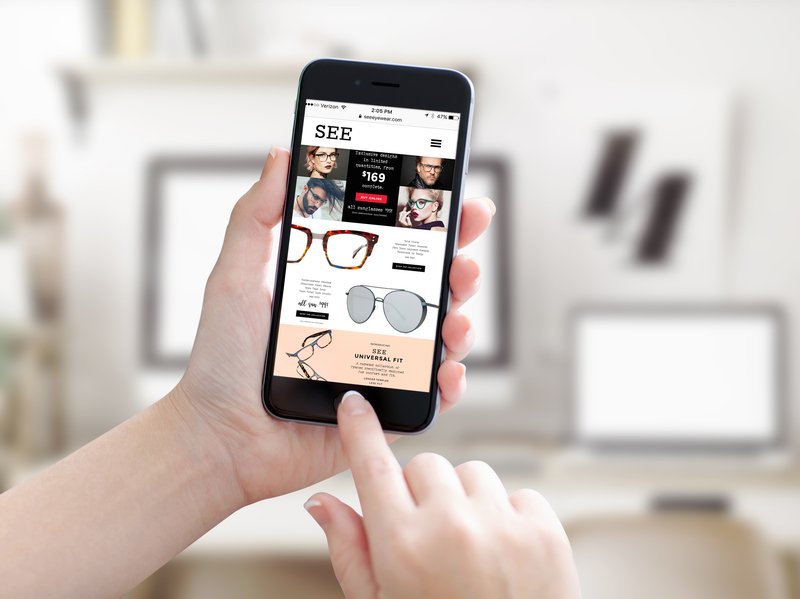 In 2016, Media Genesis continued its relationship with SEE Eyewear by implementing eCommerce functionality on SEE’s existing Sitefinity based website. SEE shoppers are able to browse product in multiple styles, colors and views, create an account, view past orders, add products to a wish list, and purchase glasses from the convenience of home. With beautifully styled glasses available in limited quantities, it was important SEE’s product detail page provides customers a striking visual display of each frame, account for available inventory, and add copy near thumbnails if a frame is no longer available online. SEE needed a way to capture their sales information in an easy to use format for order fulfillment. To achieve this goal, Media Genesis created a custom order reporting page within the CMS to easily store and track orders. On a daily basis, SEE can access the fulfillment list to process and send orders. In order to integrate these orders with SEE’s retail store sales and take advantage of UPS integration, a custom API was created to automatically export the sales information to SEE’s POS system, BLINK. The API is able to pass through customer data, order number, items purchased, cost, tax, and any discounts applied. SEE wanted a way to offer discounts to their customers and retain users for longer session duration’s. We implemented a pop-up marketing tool that appears after 20 seconds of browsing anywhere on the site to offer a 20% discount on a purchase of frames. Additionally, SEE also needed to limit the number of discounts redeemed. We implemented a site wide cookie to limit the pop-up discount to first time visitors to the site.